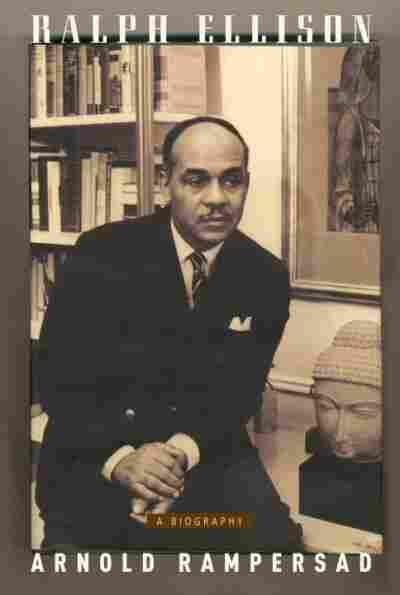 The Life and Legacy of Ralph Ellison In 1952, Ralph Ellison introduced a new kind of black protagonist: The Invisible Man was educated and self-aware, and had a broad intellectual curiosity. He was invisible, Ellison wrote, but not insubstantial. Arnold Rampersad has written a new biography of the complex writer. In 1952, Ralph Ellison introduced a new kind of black protagonist: The Invisible Man was educated and self-aware, and had a broad intellectual curiosity. He was invisible, Ellison wrote, but not insubstantial. Today, Ellison's legacy is potent and still controversial. 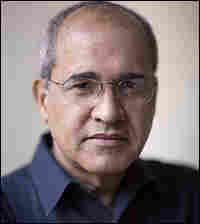 Arnold Rampersad is a leading scholar and biographer of both Langston Hughes and Jackie Robinson. He has written a new biography of the complex writer. Ralph was a healthy baby. A photograph of him at four months in a washtub shows him, as he later put it, as a "fat little blob of blubber." According to family lore, at six months he took his first steps. At thirteen months, he startled his father by seeming to crave steak and onions. At two, he began to talk. Blessed with a sharp memory, he recalled a doting father. "I rem[em]ber toys, toys, and still more toys," he wrote. He recalled his father allowing him one evening to splash in the bathtub while his mother went off with a friend to a concert. He also recalled his father reading incessantly but making time, too, for his young son ("my father had two passions, children and books"). Either his father or mother was responsible for "the first song taught me as a two-year-old" ("Dark Brown, Chocolate to the Bone"), as well as for his command of a wildly popular, risqué dance to go with it, the Eagle Rock. His father took him on his horse-drawn wagon through various neighborhoods as he delivered ice and coal to businesses and homes. Ralph never forgot his father's tenderness. "Mr. Bub," as some customers called Lewis Ellison, explained things "patiently, lovingly," as they ventured into "ice plants, ice cream plants, packing plants, shoe repair and blacksmith shops, bottling works and bakeries." Ralph also never forgot the day in Salter's grocery store when he watched his father climb some steps and attempt to hoist a hundred-pound block of ice into a cabinet. When a shard of ice pierced his stomach, Lewis Ellison staggered and collapsed. Ralph remembered the lingering illness, the internal wound that would not heal, the decision to operate, and their last visit together in the hospital. As he prepared to leave with his mother, his father slipped a blue cornflower into Ralph's lapel and gave him pink and yellow wildflowers from a vase on a windowsill. Then his father was wheeled away and Ralph saw his father alive for the last time. "I could see his long legs," Ralph would write (the emphasis his own), "his knees propped up and his toes flexing as he rested there with his arms folded over his chest, looking at me quite calmly, like a kindly king in his bath. I had only a glimpse, then we were past." The official death certificate identified the cause of death as "Ulcer of stomach followed by puncture of same." He was thirty-nine years old. Ralph's life was changed forever. So, too, were the lives of his mother and his brother, Herbert Maurice Ellison, who was then only a few weeks old. The emotional cost was incalculable, and in all matters involving money the change was a disaster. Ahead lay years of shabby rented rooms, hand-me-down clothing, second-rate meals, sneers and slights from people better off, and a pinched, scuffling way of life. For the Ellisons, Oklahoma City took on a radically new character. Almost every aspect of Ralph's life became tougher, sadder. He would take many years to recover fully from the shock of his father's death, if he ever did. He inherited no money but rather a powerful physique; a nimble mind; a worn copy of a book of verse, which would perhaps compel Ralph to write his own book; and the name Ralph Waldo Ellison, in honor of Ralph Waldo Emerson, the famous American poet and essayist of the nineteenth century. He also inherited what his mother had "often warned us against," Ralph noted, "giving in to what she considered the Ellisons' sin of inordinate pride." Ellison pride, which would both empower and hobble Ralph, could be traced back to the patriarch of the family, Alfred Ellison, and his wife, Harriet Walker Ellison, of the small town of Abbeville Court House, South Carolina. Harriet was long dead by 1916, but Alfred was still vigorous at seventy-one. He was the father of ten children, including Lewis and Lucretia Ellison Brown. Lucretia migrated to Oklahoma City in 1910 with Lewis and Ida, bringing with her Tom, Francis, and May Belle Brown, her three children by her divorced husband. The death of Lewis, Alfred's eldest son, hit him hard. At his request later that year, Tom and May Belle took their three-year-old cousin by train on an extended visit to Abbeville. Ralph found the visit both disturbing and a welcome diversion. Many decades later, he would recall "quite vividly" the train approaching Abbeville across a muddy river and Uncle Jim, one of his father's brothers, waiting in a horse-drawn carriage. He fondly remembered Alfred, who was a huge, muscular man, and other members of the Ellison clan. The Ellisons lived in a large old house with fireplaces "into which I could walk around and see the light filtering down the chimneys." Ralph recalled an abundance of melons and vegetables heaped on the back porch. He walked in a grove of pecan trees that his father had planted as a boy (for many years afterward, at Christmas, a bag of pecan nuts from this grove reached the Ellisons in Oklahoma City). He slept in an enormous feather bed and was fascinated by a ruined church, its stained-glass windows intact, next door; now it served as a chicken house. He loved the profusion of luna moths and fireflies that glowed in the balmy South Carolina dark. "By way of entertaining a small sorrowful visitor from the west," a kindly local boy, Eddie Hugh Wilson, filled a glass jar with lightning bugs and presented them to the weepy child "as a glowing toy." 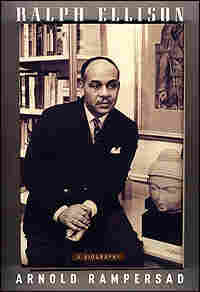 Excerpted from Ralph Ellison: A Biography by Arnold Rampersad Copyright © 2007 by Arnold Rampersad. Excerpted by permission of Knopf, a division of Random House, Inc. All rights reserved. No part of this excerpt may be reproduced or reprinted without permission in writing from the publisher.